Deciduous medium tree. Deep purple/black leaves, turning greenish purple as the season progresses. Leaves turn orange/crimson in autumn. 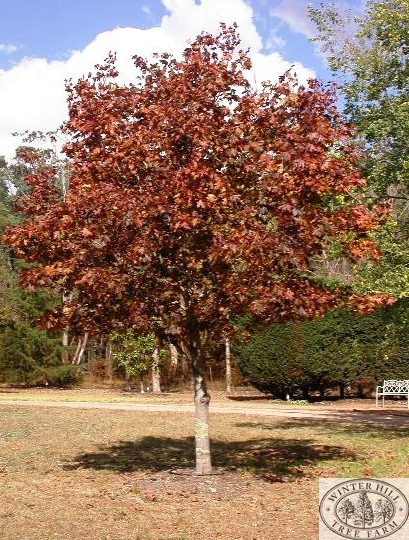 Slow growing, hardy, striking ornamental tree used for foliage contrast.